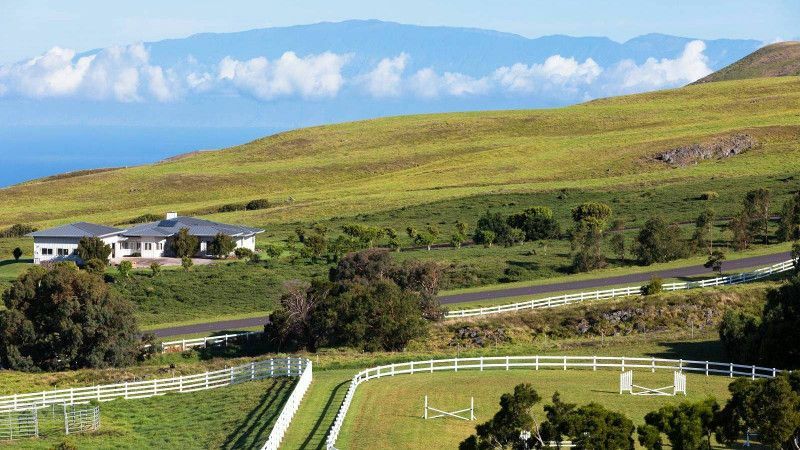 This majestic estate in Hawaii Island’s sought after North Kohala district is comprised of three separate parcels being sold together and totaling 34.89 acres. 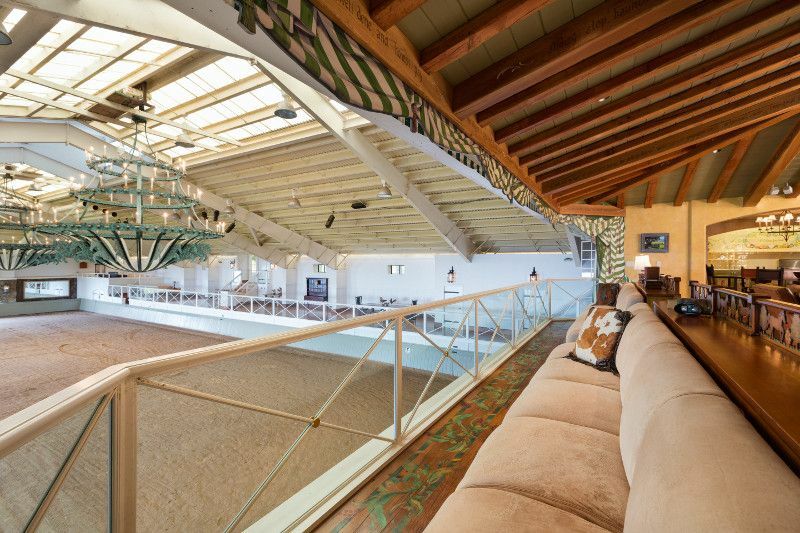 The property includes a pristine barn (with a professional indoor arena) totaling about 17,000 square feet and a residence with three separate living areas. They include two 2 bedroom/2 bath units and one 3 bedroom/2 bath unit. Each unit includes a private entry and attached 2-car garage. 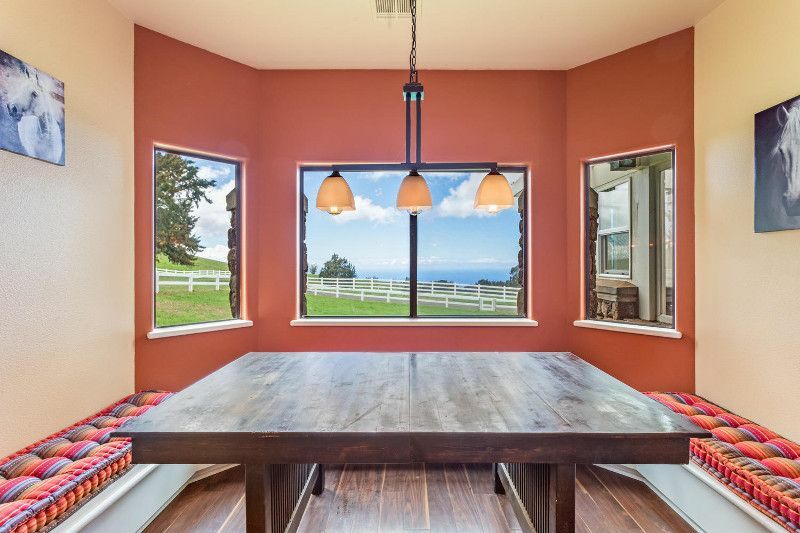 Spectacular ocean, pasture and mountain views are enjoyed throughout the estate. Aerial view with Pacific Ocean and Kohala mountains in background. 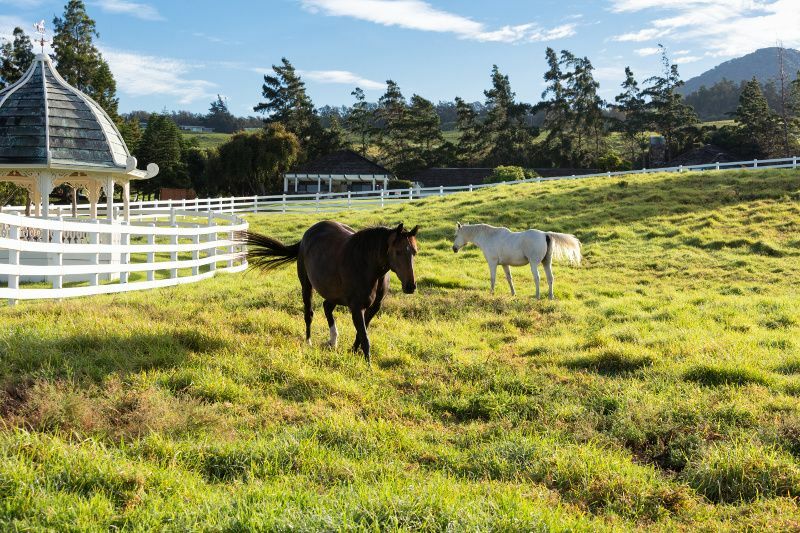 Entry into the property is through double private gates, white vinyl fencing is used throughout the 34+ acres of divided pastures and a large dog run area. 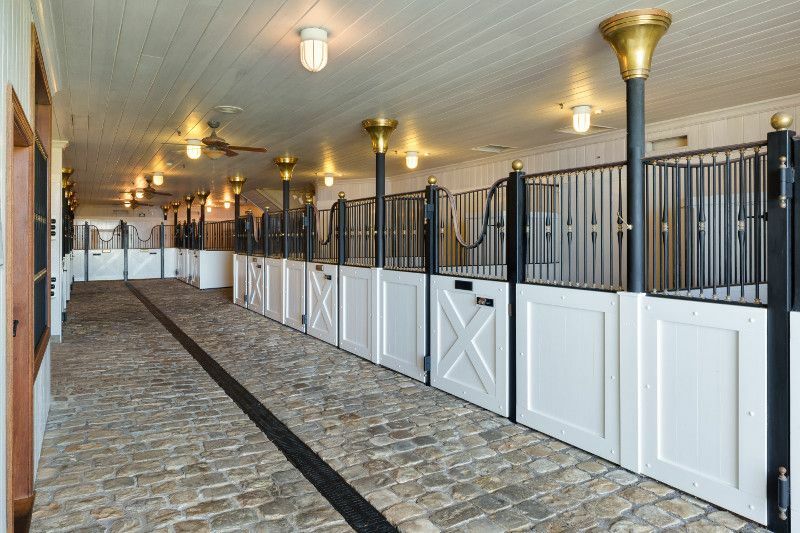 Both outdoor and indoor horse washing stations are available with hot and cold water. 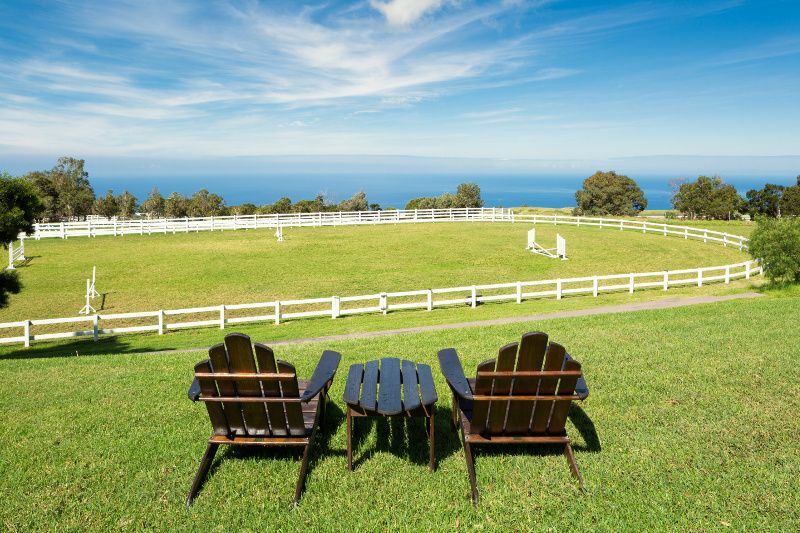 Outdoor equestrian ring with a view. The arena’s courtyard hall with imported cobblestones. Indoor center ring complete with ocean views. 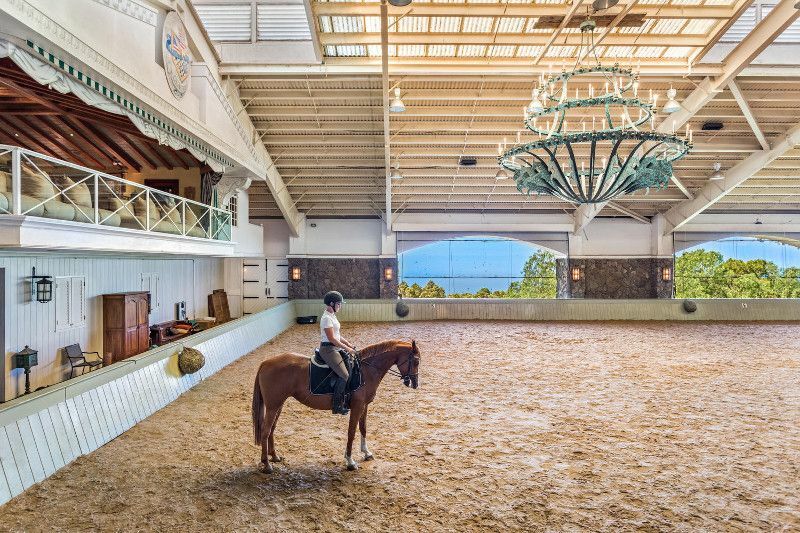 The center ring features three stunning chandeliers, while the barn includes 13 stalls with mats and a hall courtyard paved with imported cobblestones. 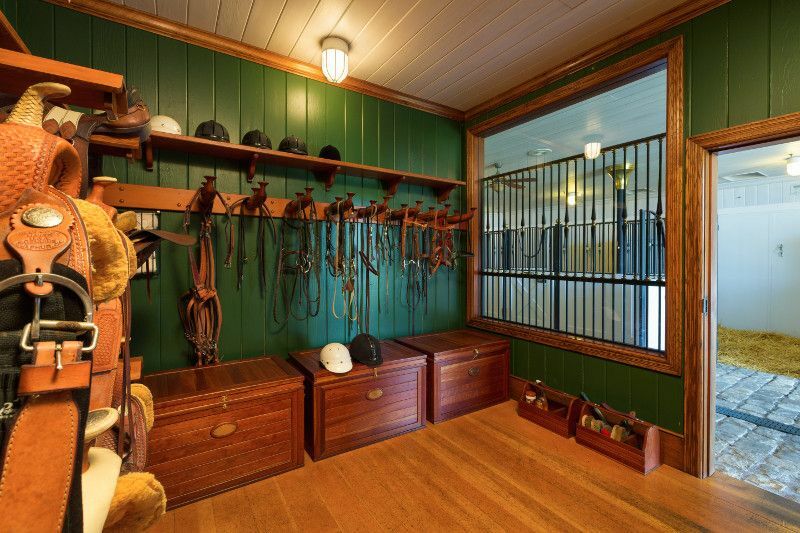 Attractive and efficient tack room. 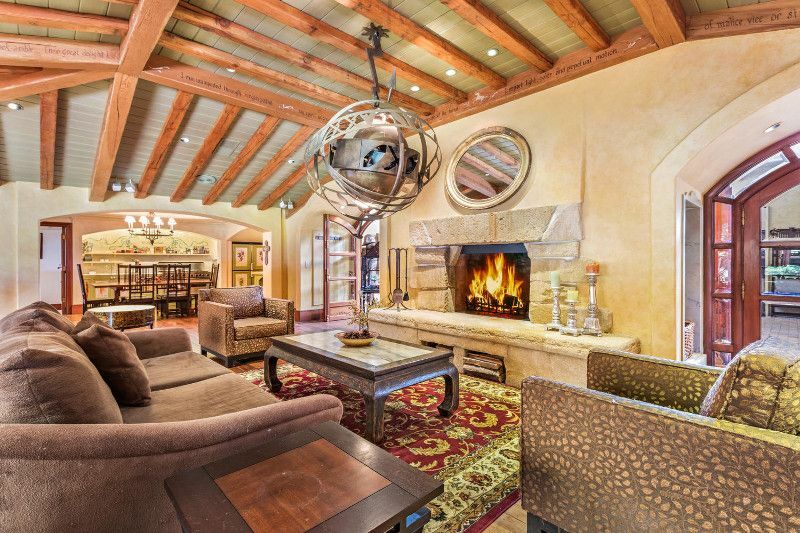 The arena also features an upstairs viewing and entertainment/living area with gourmet kitchen, living room with wood-burning fireplace, bunkroom and bathrooms. 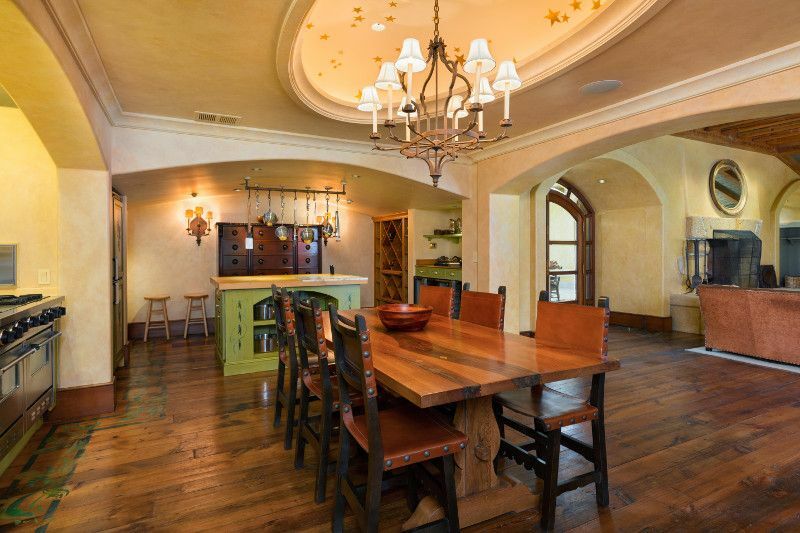 Beautifully appointed, details include stone and hardware floors, built-in bookcases, and leather sofas. Upstairs viewing area in center ring. 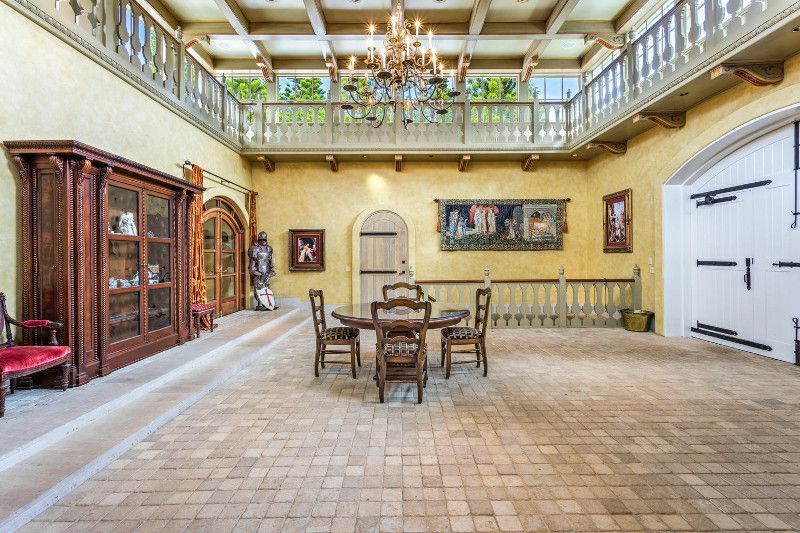 The arena’s upstairs living and dining rooms. Kitchen in upstairs living area in center ring. 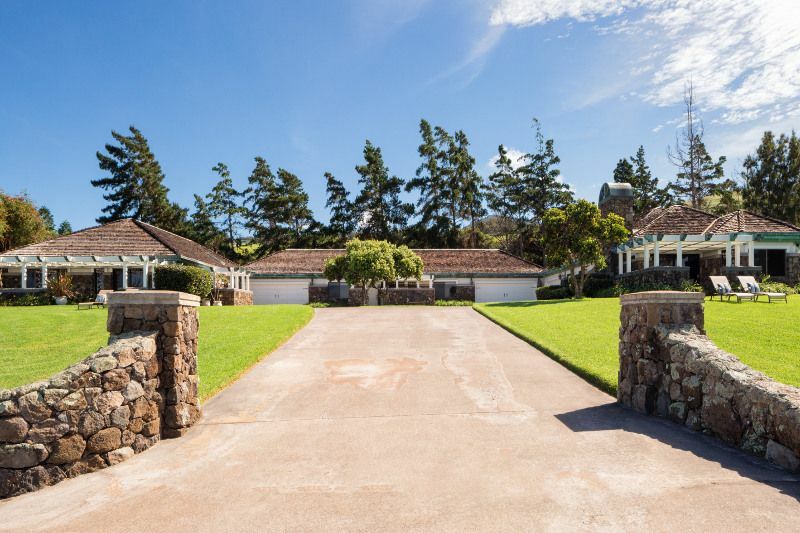 This property’s gracious plantation-style home is spacious and private. 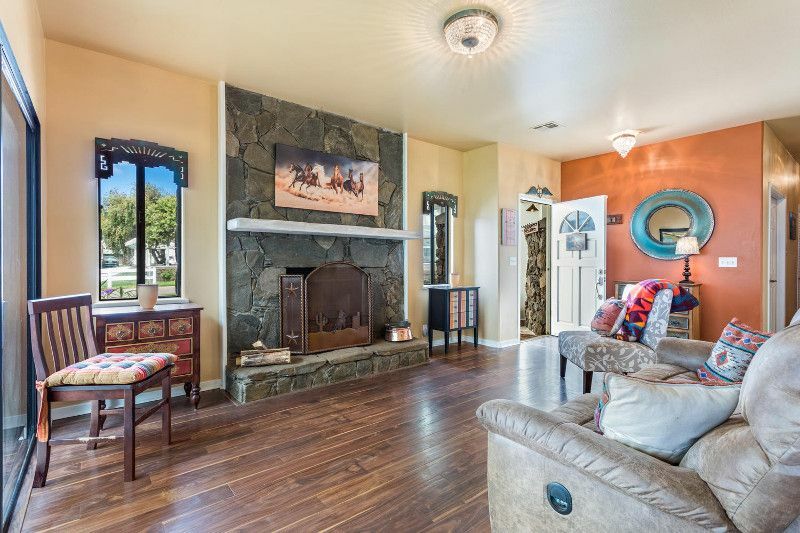 The 3 bedroom/2 bath unit’s great room. 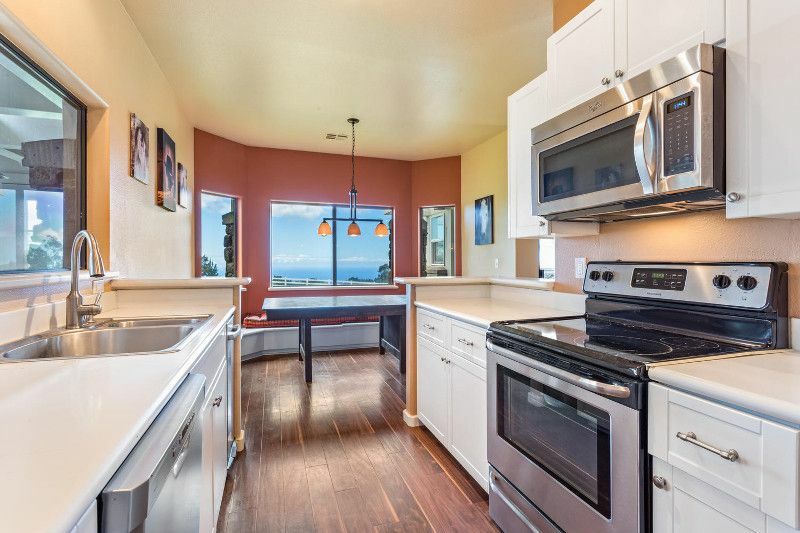 Kitchen in the 3 bedroom/2 bath unit. 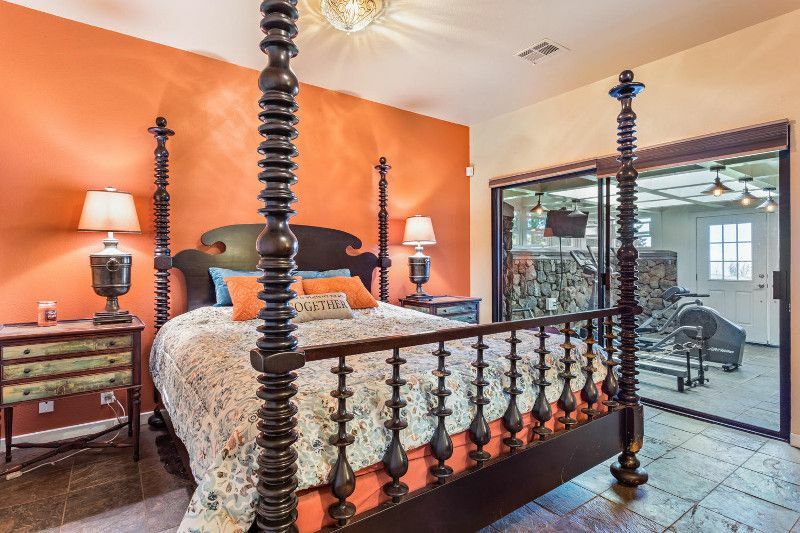 Master bedroom with adjacent fitness area. 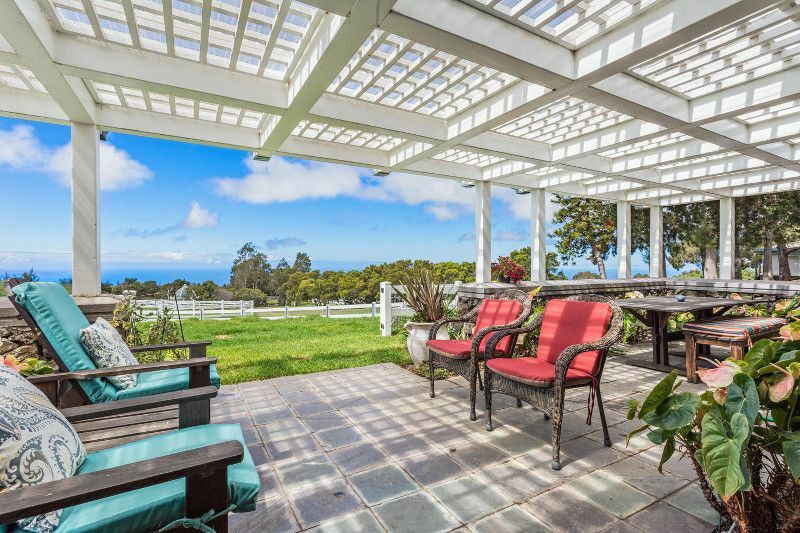 Trellised lanai with stellar views.